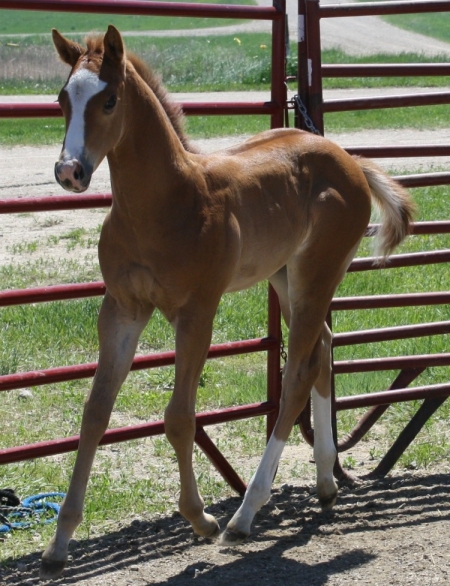 We just simply love this colt and know his new family will too. He measures to be approximately 16 hands at full maturity and is such a gorgeous mover! 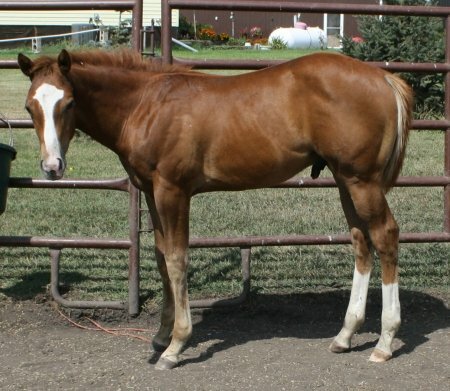 A classy well balanced colt out of a mare by Kid Coolsified. In 2018 Kid Coolsified earned the million dollar mark as a sire. A first in history, he is a legend in his own time. His dam line also includes Telusive on the bottom side,(WC) as well as Brown n Bette a WC producer. 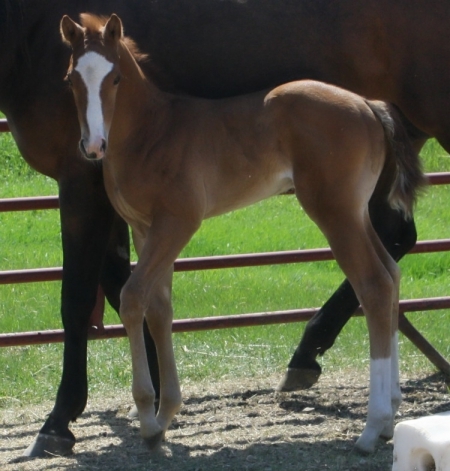 His Dam, Cool Lookin Bette (AQHA) is 5 panel negative. His sire, Stolen Identity, is a 2015 Reserve National Champion, 2015 Reserve World Champion, and is also an ApHC Club Champion. He has 4 ROM's and is 5 panel N/N. 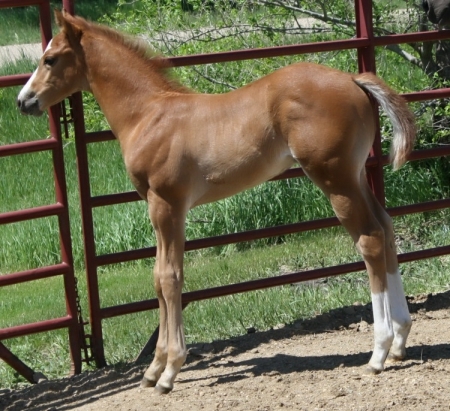 This outstanding colt has been handled daily and was imprinted at imprinted at birth. 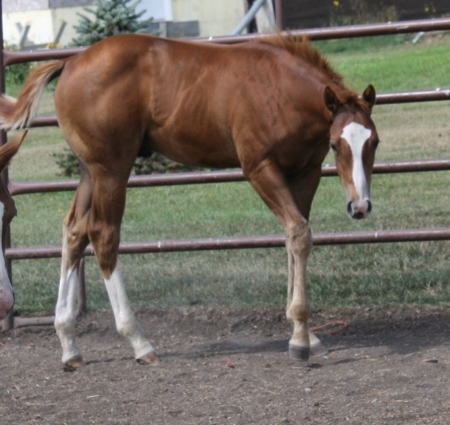 Payment terms available through weaning.